Slizer Battle Management System is a real time strategy game set in the Slizer storyline. This game uses a symbolic, minimalist art style to simulate what a futuristic military console used to command units on a battlefield would look like. Gameplay is a mixture of squad based and battleship real time strategy. The game should be stable, but if there are any issues, bugs, or if you have any constructive criticism, please contact me. The game will be updated frequently. Slizer Battle Management System v1.18b17 full updated standalone game. See details for available content in game and see the news section to see the most recent additions to the game. 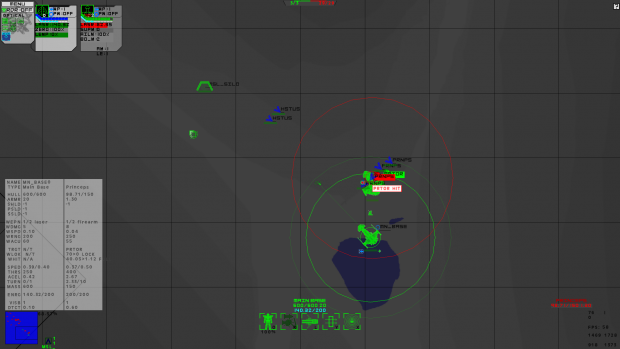 Slizer BMS is a Sci-Fi Real Time Tactics game set in the TGP storyline. It uses a symbolic, minimalist art style to simulate what a futuristic military console used to command units on a battlefield would look like. It takes the RTS model and removes the economy and intense micromanagement aspects in favour of more complex movement and combat. -Battleship Mode: Fleet battles with different combinations of enemy ships, with four different modes. -Standard RTS controls with extra features. The game should be stable, but if there any any issues, bugs, or if you have any constructive criticism, please contact me. The game will be updated frequently.